My main reason for going into the city centre was to get some Christmas shopping done and that shopping included buying a Christmas present for me. 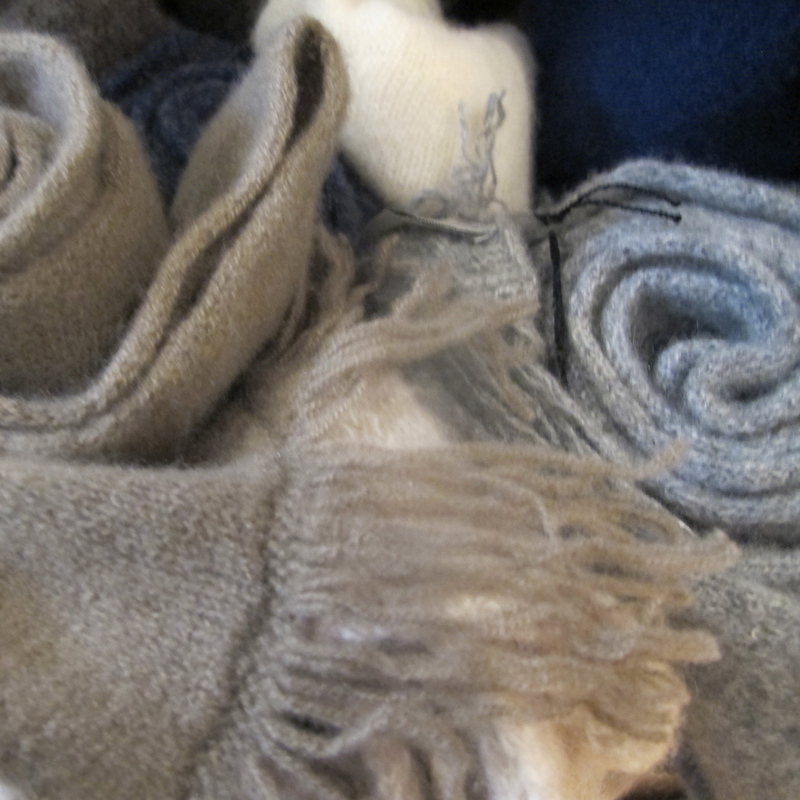 Self gifting is the best as you always receive exactly what you want: my wish in this instance was for a navy cashmere scarf from Eilis Boyle’s Moss collection. Eilis Boyle is a talented designer who worked in the fashion industry for many years before deciding on a career change and moving into the world of digital communications. Sadly her clothes are no longer available but she does produce a collection of cashmere scarves. These are cloud-soft concoctions which are as snugly as a goose down duvet and are made mainly in muted Farrow and Ball-esque colours. 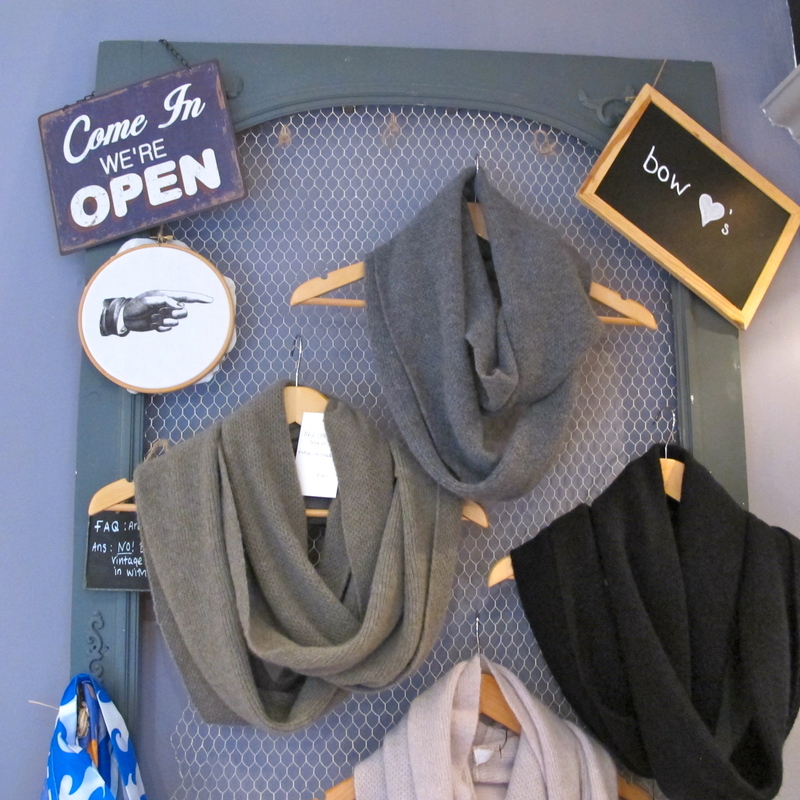 A team of knitters based in Dublin makes the scarves from cashmere that Eilis sources in Scotland and Italy and they are sold in the treasure trove of a shop that is Bow in the Powerscourt Townhouse Shopping Centre. I don’t have the remotest need for yet another scarf because I own a senseless number of them already. I daren’t count my scarves because I know that before I was even halfway through the count buyer’s remorse and guilt would have entered my consciousness stage right. 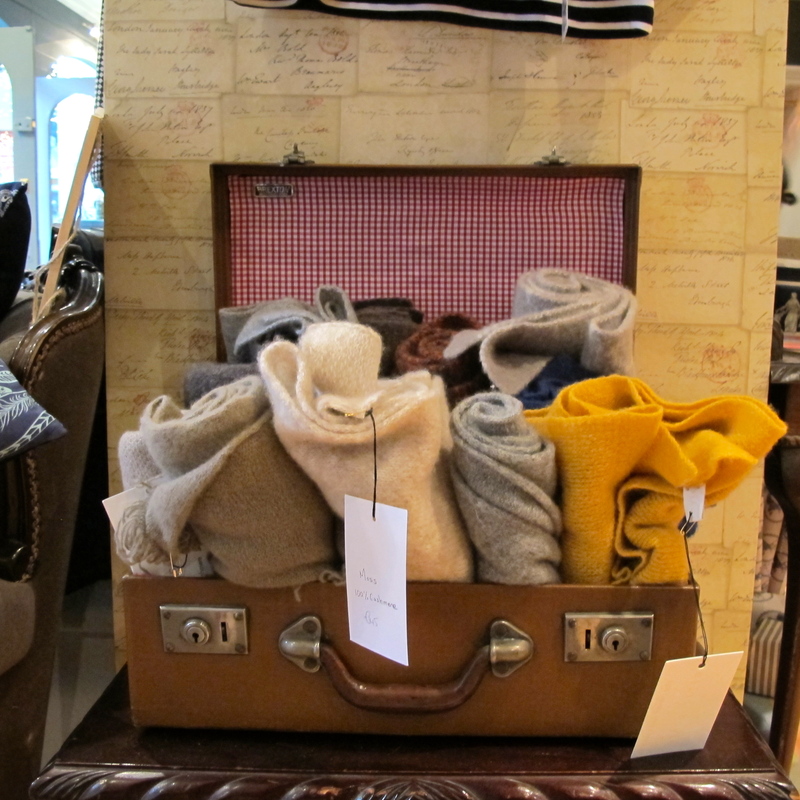 But want, in this case, trumped need and as I don’t actually have a navy scarf I decided to plug the gap. And then for ever after swear off buying scarves. Well, maybe! I had a choice of three different types of navy scarves, in terms of stitchery, exact shade of navy, and size: in the end I decided to buy a two toned one but not before I hummed and hawed, in an indecisive way,for an age. So, the self gifting is sorted and now I had better crack on with the remains of my Christmas shopping or otherwise it’s hello to that dark vortex that’s last-minute panic buying. Oh those scarves are just beautiful, I have a thing for neck scarves, I don’t count my scarves, I would shame myself. I love everyone of those beauties and would have definitely had to gift myself. I love scarves too and yes I would be embarrassed if I knew exactly how many I owned. In my defence I wear one most days from October through to March or April so at least they get used. I do too, well maybe not from October, it’s warm here usually through mid November. I will change scarves twice a day sometimes. I love neck scarves. It’s good to know I am not alone in my scarf ‘addiction’. I like your idea of changing your scarf during the day, I must try that as some of my scarves don’t get worn that often – a sure sign I own too many! I utterly approve of self gifts! As for scarves, well you cannot have too many. And, bless them, they always fit, even after the excesses of Christmas…. I laughed when I read this. Yes, it’s great that scarves always fit, even post the Christmas eating excess. Would that all other items of clothes were equally accommodating. I love self gifting! It seems that whenever I’m out Christmas shopping I inevitably will get some gifts for myself. The scarfs look absolutely beautiful. I don’t think a woman can have too many scarfs, it’s the perfect compliment to any outfit! Stunning! Gads, that must have taken forever to knit! My Eilis Boyle scarf is grey, and is my cosiest. I’d like a matching dress. I wish you happy warmth in yours. Thanks Mise for your happy warmth wishes. And yes Eilis Boyle’s scarves are so cosy. One can never have too many scarves and you definitely needed this one – it is gorgeous and should keep you warm during the winter! Thanks Meg it’s such a cosy scarf that I am sure it will be good at warding off the winter chill. 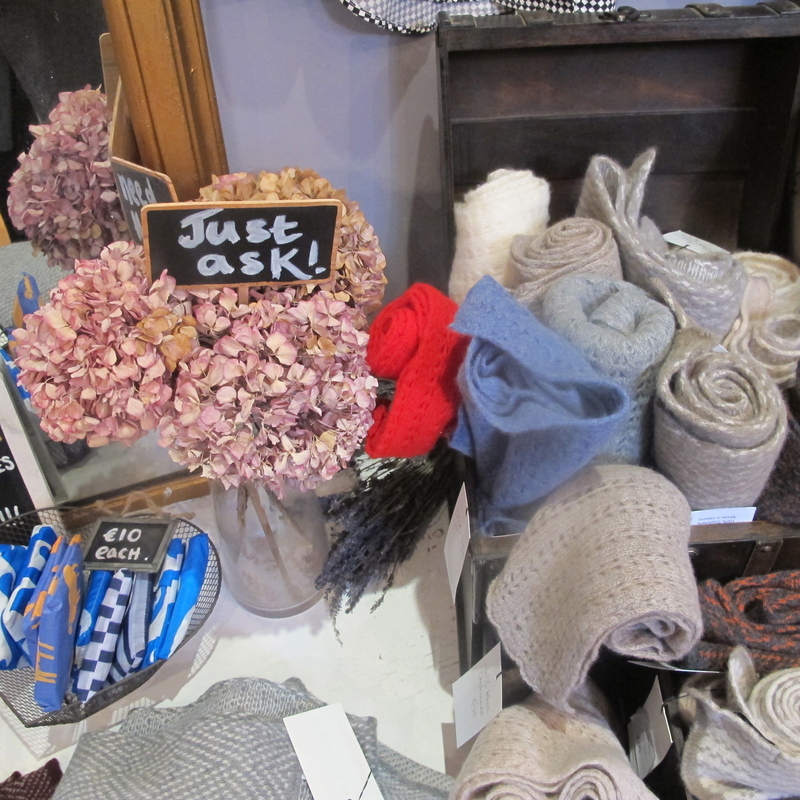 ‘One can never have too many scarves’ seems to be a motto I am living by! Annie I hope everyone is right about never having too many scarves because I have a lot of them! Enjoy your knitting. Self gifts can be very empowering for a woman. They are really a proof of her independence. Thanks Francesca the consensus seems to be that there is no such thing as too many scarves. Dear B, apologies for the belated comment. There’s much to like in this post. Have a wonderful weekend, dear B! There is absolutely no need to apologize for the late comment. Thank you very much for the nice things you say about the post – they are very much appreciated. I have had a good weekend, and I hope you did too. 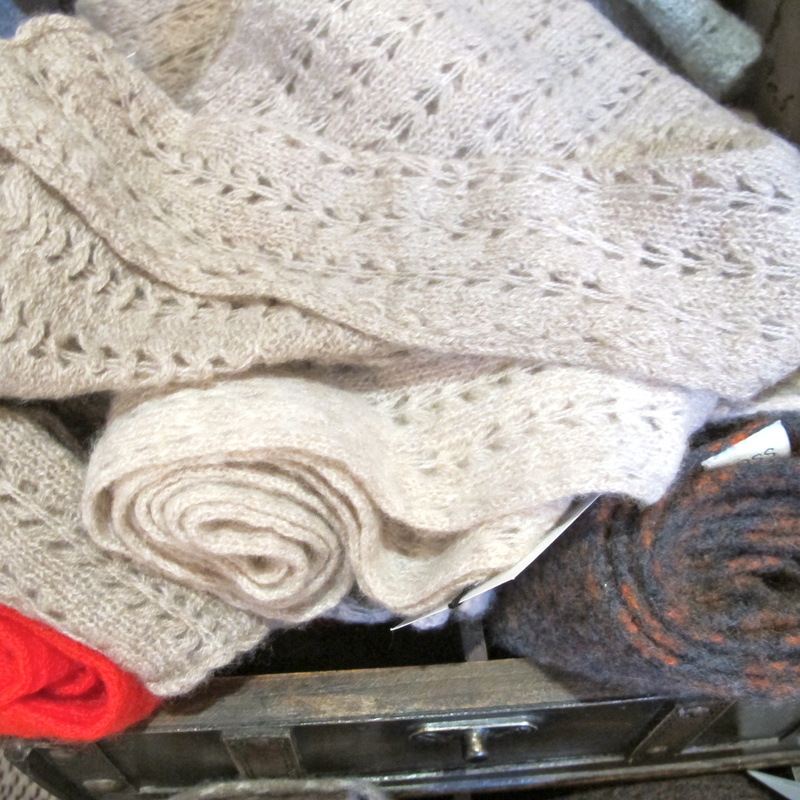 So pretty, I wrote about her delicate scarves too but sadly I did not bring one home. : ( Next time! The ladies there are so sweet and warm, it is such a great shop. It’s a great shop and yes all three co-owners are warm and friendly. I am so pleased with my new scarf – I love the two tone pattern and that it’s so warm and snugly. I love my blue cashmere scarf. Any chance of a hat to match? Catherine. Hi Catherine, I hope you find that matching hat. Unfortunately, I don’t have contact details for Eilis Boyle, so that you could get in touch with her about the availability of hats. However you could check in Bow in the Powerscourt Townhouse shopping centre to see if they can help. I think the shop has undergone a change recently but they may still stock Eilis Boyle’s cashmere.